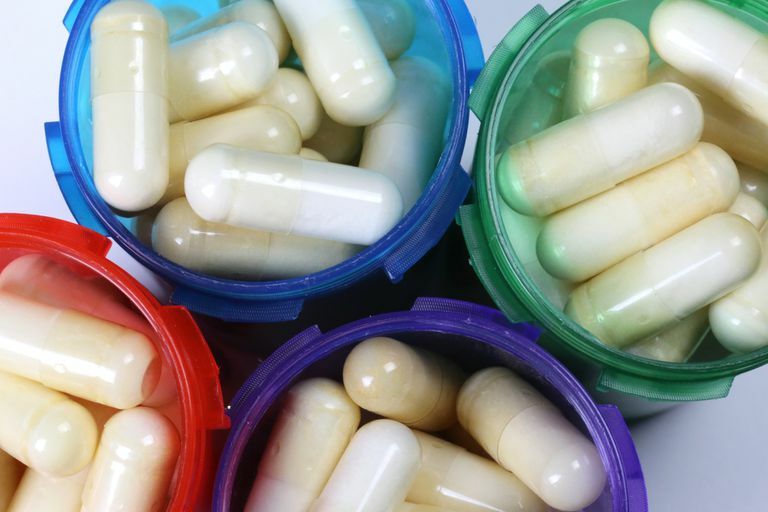 As more attention is being given to the role of gut bacteria in the onset and maintenance of irritable bowel syndrome (IBS), scientists are looking to probiotic supplements for their potential in reducing IBS symptoms. Here you will learn why probiotics might be of help and how to choose a supplement that is right for you. Probiotics are sometimes called "friendly" bacteria, as they are thought to support our immune systems and enhance our health by keeping the numbers of "unfriendly" bacteria within our digestive systems in check. Your large intestine is filled with thousands of strains of bacteria—all a part of our gut flora. Optimal health calls for a favorable balance among all of these various strains. When unfriendly bacteria predominate—a condition known as intestinal dysbiosis—we may experience an inflammatory state that results in physical symptoms. Taking a probiotic supplement is thought to help us to maintain a favorable balance of bacteria, which sets the stage for optimal health and may help to quiet your IBS symptoms. Manufacturers have been busy developing various probiotic formulations and assessing their effectiveness. One such mixed strain formulation that has some research support for effectiveness is VSL#3. This type of attention by supplement manufacturers bodes well for a promising future for more safe and effective product choices. The British Dietetic Association recommends that you try a probiotic supplement for a period of four weeks to see if it has any effect on your symptoms. If not, they recommend that you try a different product with a different strain or strains of probiotic bacteria. As you make your choice, be sure that the supplement you choose contains live strains of bacteria. At home, be sure to store the supplement according to manufacturer's suggestions. Some formulations require refrigeration, while others can be stored in a cool, dry place. Certain foods contain probiotics as a result of how they are prepared. Probiotic-containing foods are foods that have undergone a process of fermentation which results in the production of varied and numerous strains of probiotic bacteria. Some examples of fermented foods containing probiotics include yogurt, traditionally prepared sauerkraut, and the Korean dish kimchi. Fermented foods have long been thought to promote overall and digestive health, but there is little actual research on the subject. It is also unknown if fermented foods would be helpful for IBS symptoms. According to Monash University testing, the process of fermenting can increase the FODMAP content of some foods. If you choose to add fermented foods to your diet, be sure to start with small doses to assess your ability to tolerate these foods without worsening symptoms. With the hope of a positive benefit and minimal risk of side effects, probiotics may well be worth trying for your IBS. But as with any over-the-counter product, before you try probiotics remember to check with your doctor. Probiotics may be harmful to individuals who have weakened immune systems or those who suffer from serious chronic illness. Dai, C., et. al. "Probiotics and irritable bowel syndrome" World Journal of Gastroenterology 2013 28 19:5973–5980. Didari T, Mozaffari S, Nikfar S, Abdollahi M. "Effectiveness of probiotics in irritable bowel syndrome: Updated systematic review with meta-analysis." World Journal of Gastroenterology 2015;21(10):3072-3084. Gallo A, Passaro G, Gasbarrini A, Landolfi R, Montalto M. "Modulation of microbiota as treatment for intestinal inflammatory disorders: An update." World Journal of Gastroenterology 2016;22(32):7186-7202. McKenzie YA, Alder A, Anderson W, Wills A, Goddard L, Gulia P, Jankovich E, Mutch P, Reeves LB, Singer A, Lomer MCE. "British Dietetic Association evidence-based guidelines for the dietary management of irritable bowel syndrome in adults" Journal of Human Nutrition and Dietetics 2012 25:20-274. Weber S. "Fermented foods and FODMAPS" Monash University January 2017.